Earning cash rewards is a great way to make a little extra money while purchasing necessities for yourself and your family. Many people choose to shop online, completely unaware that these programs are available there too. However, those who take advantage of the rewards can earn fast money. A third-party that is not affiliated with the retailer typically administers the online shopping rewards programs. After a customer sets up an account with the rewards site, he or she can browse the partner retailers and decide where to make the shop. Each retailer will offer a certain percentage back, which is typically paid in cash. Usually the rewards sites issue reward checks every 3-4 months, allowing the customer to build up their account and receive a sizable reward. Making some extra income is something most people welcome. With the increasing cost of living, it becomes more difficult to make ends meet. Anyone can save money by earning cash rewards given in exchange for buying what we need, such as clothing, office supplies, books, items for the home, toys, and many other items. Customers can then exchange these rewards for more merchandise. Some rewards sites also offer benefits, in addition to cash back, such as gift cards and trips. Sometimes the points for these can add up fast and customers will be able to enjoy their rewards very quickly. These incentives help companies to increase their business and keep customers happy with extra benefits. Rewards programs have been around for years, as most credit card users can attest. Online shopping rewards programs carry similar benefits but with different requirements. 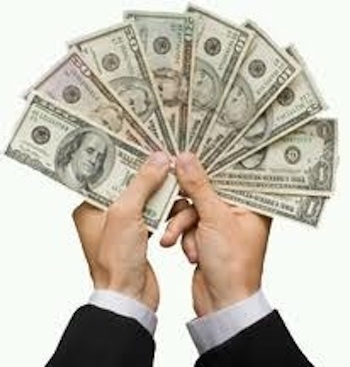 Another way to earn a little extra money online is to enter sweepstakes and contests. These can be found on blogs and other popular sites and often feature cash prizes, gift cards, and other exciting items. There is rarely any cost required to take part, so just about anyone can be part of the fun. Those who are interested can read about sweepstakes winners on specific sites, which gives an idea of what is available and how often prizes are given away. These ways to earn a little extra income are helpful for just about anyone who is thinking about controlling expenses. Some people choose to spend their rewards on splurges for themselves, while others share the experiences with friends and family. No matter what you choose to do with your earnings, making money while you shop is a great option. I used to enter contests online a lot, and I won soooooo much! I love entering giveaways and contests, still chasing that Hall of Fame win. Shopping is wonderful alone, but even better when you get extra rewards for doing so!